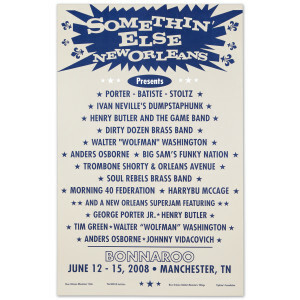 Poster features a list of all artists who performed in the Bonnaroo 2008 Somethin' Else - New Orleans venue. 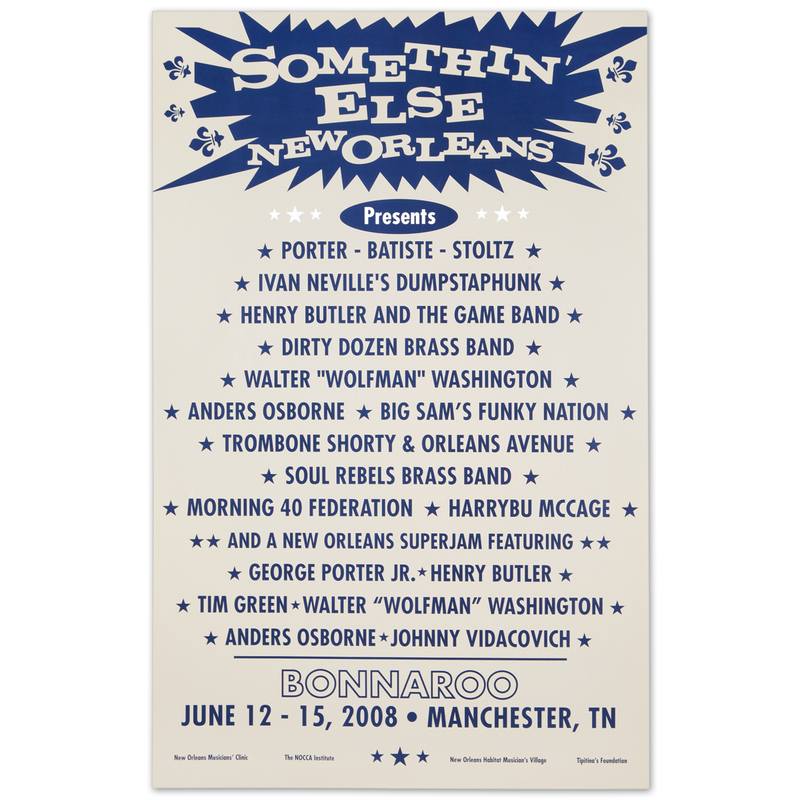 Proceeds from the sale of this poster benefit Tipitina’s Foundation, New Orleans Musician’s Clinic, The NOCCA Institute, New Orelans Habitat Musician’s Village. Great poster! Bring them all back this year! The poster looks great. A nice start for a collection, especially if you love New Orleans as much as I do!